Our NetSuite tips are designed to help you get the most out of using NetSuite. This month’s guide is all about sending emails directly from records. Sending your emails directly from NetSuite allows you to track all communication between you and those you do business with. Whether through email, letters or over the phone, all of the information you need can be planned and executed through NetSuite. 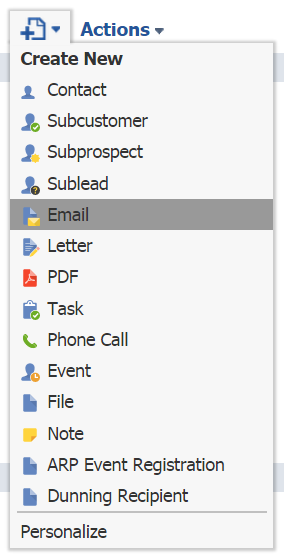 If contacts for your customers, vendors or partners reply to the email you send from NetSuite, that reply is both sent to the email address you log in with and automatically saved to the Messages subtab of the contact record as well as the customer, vendor or partner’s record (in the Communications subtab). Which NetSuite records can you send emails from? Email messages you send from NetSuite records are saved in the Communication subtab for each individual contact receiving the message as well as on the record you send the email from. 1. On the record you want to send an email message from, click the Communication subtab. An email message box will pop up. 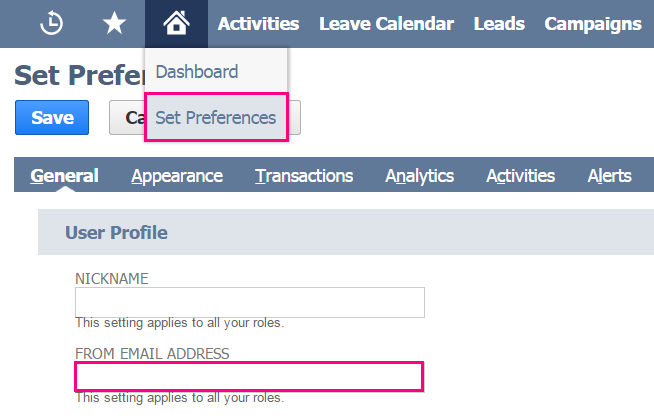 Select the contact you want to email in the Recipient field, or enter an email address. In the Copy Others column, select others you want to include in this message. In the Email field, enter an email address if one does not exist. Tick the Cc box to copy this contact, or tick the Bcc box to blind copy the contact. Click Add for each contact you want to copy in. Select a template you have uploaded to NetSuite. Tick the Update box to update your template with any edits you make in the Message field. 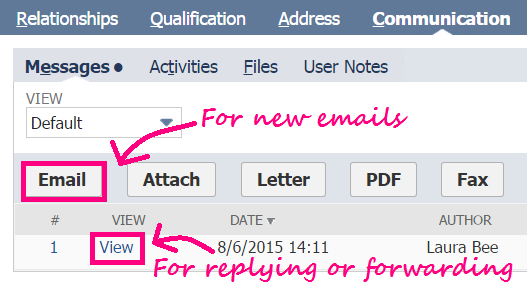 For more information on creating email templates, search “Creating New Email Templates” in the help centre. In the Subject field, enter a subject for this message. Tick the Request Read Receipt box to request read receipts from individual recipients. Choose the template format you want to use for this message (scriptable is recommended because CRMSDK may be deprecated in the future). If you want to add field tags in your message, use the Field Type field and the Insert Field (these allow you to automatically insert information in the email body such as the recipient’s first name or the name of their sales rep). In the Message field, enter your email message. Style and format as required. If you selected a template file, you can edit the message in this field. Tick the Zip Attachments box to compress the files you are sending. If you want to attach a Word document template to the email message, select the letter template you want to use in the Attach Document Template dropdown. (Search “Creating a Letter Template Record” in the help centre). To attach a statement to this message, tick the Include Statement box, and select the date of the statement. In the Start Date field, you have the option of entering the date of the oldest transaction you want to appear on the statement. In the Type field, you can select the type of statement to attach. You can enable the Show Only Open Transactions option to include only open transactions in the attached statement. Note: If you enable this option and do not enter a start date, the statement includes all open transactions in the customer’s history. Click Add after each attachment you want to add. 6. Click Send, or if you use the Mail Merge feature, click Merge & Send. Email messages cannot exceed 25,000,000 bytes (~23.8 MB) in size. This includes the size of the message itself and all attachments. If you use NetSuite’s UK Edition, to comply with UK law, your business address and VAT number are included in the footer of all emails you send to those outside of your company. Tip: Click View History (in the Communication subtab) to easily scroll through all messages sent to and from contacts. Files attached from your computer to emails you send from within NetSuite are stored by default in the Attachments to Send and the Attachments Received folders in the file cabinet. These folders are also used when you attach messages you receive outside of NetSuite to a record. The attachment folders are system-generated folders in the file cabinet only used to hold these files, so files in these attachment folders are not available to select as attachments when sending emails. If you want to attach a file from one of these folders to an email message, you must move the file to another folder prior to sending the email message. Read receipts can set your mind at ease that recipients have received a message, which is important when sending important information or time-sensitive transactions. With NetSuite, you can include read receipts on all outgoing email messages to individual recipients. All received read receipts are forwarded to the original sender of the message and tracked on the message record in NetSuite, providing an audit trail within the application. You can view the status of read receipts on the Read Receipts subtab of a message record. It’s important to note that when you tick the Request Read Receipt box on an email message, the email client of the recipient receives a read receipt request. Email clients handle read receipt requests in various ways. Depending on the configuration of the recipient’s email client, the recipient can decide whether or not to respond to the read receipt request when the message is viewed. I hope this has been a helpful walkthrough for sending emails from NetSuite. If you would like to find out more about how NetSuite works, please don’t hesitate to get in touch with our team of experts or view our other guides below. Feel free to share this guide with your colleagues or comment below. How would you automate the email process? For example, say I just marked an invoice as paid, can I have netsuite automatically send that vendor a payment confirmation via pdf? Is it possible to recall unread emails sent out from NetSuite? To my knowledge there is not such a possibility. From my experience this feature is useless if the recipient has the snippet functionality turned on. Is there a way to determine who removed a message form the messages tab? It is not listed under audit trails. You should be able to create a “deleted record” saved search and determine who deleted it. If you need help of any kind or would like some further training we have Support Packages available. Feel free to ask for further details. If I am in the communication tab within a case, it only shows the customer’s emails as recipients. how do i make it so that the vendor emails automatically are added in the recipients as well? Can a report of sent emails be created?